Every Thursday Bedouins and others congregate for Bedouin Market Day continuing a long tradition that has positioned Beersheba as the central place of commerce for Bedouins of the Negev Desert. Beersheba, Israel. 26th January 2012. 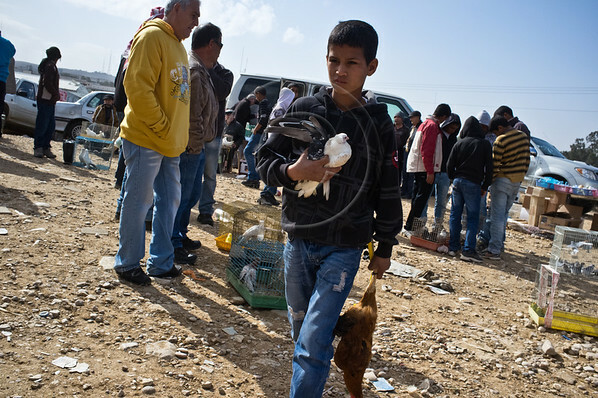 A Bedouin boy tends to the fowl as Bedouins and others congregate for Bedouin Market Day, a long tradition that has positioned Beersheba as the central place of commerce for the Negev Desert. Beersheba, Israel. 26th January 2012.